On Thursday night, December 14th, the Colonial Craftsmen of Colonial Massachusetts performed their well-known “On the Square” presentation for the brethren of Rising Star Lodge in Stoughton. It was one of the most enjoyable events I have been to as a Mason. Best of all, my wife and son were able to join me. (See Photo Above). How do you become a Colonial Craftsman (or woman)? It’s easy. Start by joining St. Paul Lodge. We are one of the principle recruiting centers for the Craftsmen and we meet monthly to go over ritual and charity events we can get involved in. This is fun for the whole family. Our wives have a division of the Colonial Craftsmen known as “The Distaff Side”. They perform for the wives and daughters of our brother Masons outside the lodge room while we perform a Colonial re-enactment of a 1770’s lodge meeting inside for Master Masons. The Colonial Craftsmen meet every second Thursday at Mt. Hollis Lodge in Holliston. Wives are welcome at the monthly meeting and encouraged to participate. St. Paul Lodge in Gardner meets on the fourth Wednesday of the month. Membership applications and information are available at every meeting. 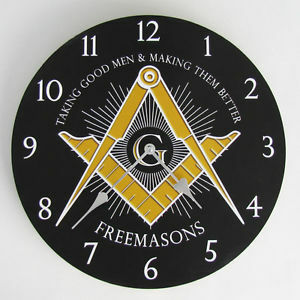 Masons only. On Thursday night, March 8th, the Colonial Craftmen will be holding a dinner at the Old Mill Restaurant in Westminster. Please reach out to St. Paul Lodge for more details. You can call us or use the contact form below. Our Phone Number is (978) 410-9537.